Trimble introduced its next-generation ultra-high frequency (UHF) RFID reader module, designed to be embedded into a wide variety of handheld, portable and stationary devices throughout commercial, industrial and consumer markets. The size and powerful performance of the Mercury6e-Micro (M6e-Micro) offers users increased efficiency, reduced development costs and time-to-market advantages for RFID applications. Only 46 mm long and 26 mm wide, the M6e-Micro can be embedded into handheld and portable devices to add RFID to everyday products such as printers and mobile computers. It can also be used to create small RFID readers and add-on accessories for existing and emerging solutions where using auto-identification technology can automate workflows or deliver new services. 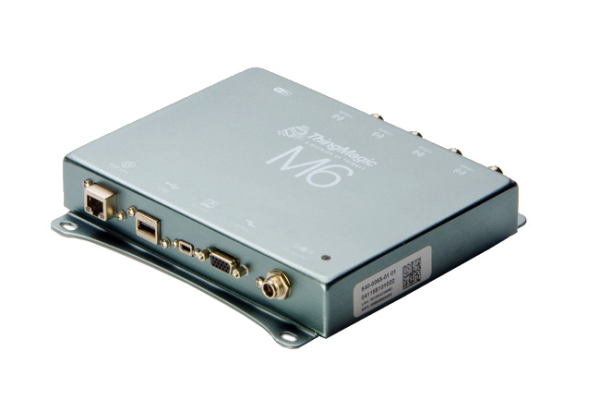 Additionally, the M6e-Micro can read tags at a rate of up to 700 tags per second.Power can also be throttled down to support applications that demand precision such as tag writing.